When you are faced with the task of finding an emergency towing service that can come to you when you are in a pinch, the challenge is finding the right one without spending too much time since you usually need it right away. If you find yourself lucky enough to be thinking about this even before you actually need the information, then save our details on your phone now. You will not regret it when the time comes. 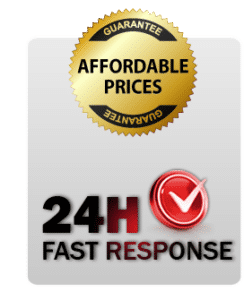 However, most people only really think about the need for emergency towing in McKinney, TX when they find themselves in the situation wherein they have no choice but to look for one that can come to them right away. This leaves most people vulnerable to predatory businesses that charge emergency fees or provide subpar service. You do not need to be a victim. Choose us, and you can be sure that you will get your money’s worth and have your emergency tended to at the same time. As you can see, there is not much you can throw at us that we are not experts in. We have seen it all, so we are empowered to handle it all. Never think that your problem is too big for us to handle, as our competent professionals can step up to whatever task it is you need from them. A lot of the time, the problem involves your car battery giving up on you on your way home. In this case, you will need either of two things: a jump start or a new battery. In the case of a jump start, people usually think to call a friend. But in case you do not want to wake your friend up during the wee hours of the morning, know that we are already up all the time, so you can just give us a call. If you need a new battery, know that we can bring one over, so even if all the stores in McKinney, TX that sell car batteries are closed, we can still help you out. Other times, it is your car keys that are preventing you from getting home. Keys have been known to get stuck in the ignition, sometimes snapping and leaving part of itself inside. You cannot fix this problem without risking your safety and the functionality of your car, so make sure that you call us for help. We have years of experience fixing problems like this, and our personnel are as good as locksmiths, as far as cars are concerned. If you need us, no matter what the time or date, we will be there within half an hour. You can be sure that we understand your need during an emergency, so we make an effort to be there for you, equipped with our expert knowledge resulting from years of experience. As soon as you realize there is a problem in need of an emergency solution, simply pick up your phone, call us, and wait. It will have been a good decision.